The ‘Missing Mum’ case involving Rebecca Minnock who fled with her 3 year old son in anticipation of a Court decision that the little boy should live not with her but with his father has attracted some lurid headlines and furore on social media in the past week. Quite separate from generating consternation and bewilderment by family lawyers who point out (repeatedly) to the press that there has not been a “custody” battle in this country for over 25 years. Yet despite two different incarnations of children orders since, the media insist on using outdated and inappropriate language to discuss where children will live. As Law Lecturer Julie Doughty explained rather neatly on Twitter: “Custody” if child is going to prison, not which parent they live with. For anyone who would like to get behind the hyperbole and sensationalism to understand what is really going on in this sad and extreme case, I would recommend a read of the blog family barrister and blogger Lucy Reed which, rather fittingly, given the complex private children work I undertake, formed my 10,000th tweet. I was amazed by how many mums identified with Rebecca Minnock, stating they too would flee with their child if he or she was to be taken from them. On a simplistic level, absolutely, but doesn’t that rather ignore what these extensive and difficult children proceedings were about? Would those mums also go to any lengths to prevent their children from having a relationship with their child’s other perfectly good parent? There was also a certain amount of triumphalism from some dads, applauding the robust approach taken by the Court to ‘punish’ mothers who do not recognise and support a child’s right to have a relationship with both parents. It would be remiss not to point out that this case is in no way the norm and a Court never, never takes a wholesale change of living arrangements for a child lightly. But given the media reporting and much of the social media feedback, I agree with Bob @Onlydads: we are polarised. By ignoring the Court’s orders and hiding with her son Rebecca Minnock has given the Court even more basis to conclude that she will do anything to prevent her child having a relationship with his father. She is unhappy with the decision the Court has reached (with the benefit of significant amounts of expert input) and has taken action that is irresponsible, selfish and in no way puts her child’s interests first. Yet this action is being portrayed in the media as understandable and there are protests from various corners that she is being ‘criminalised’. Compare, for example, with the press treatment of those equally irresponsible fathers who dress up as super heroes and commit public order offences to protest because they are equally unhappy with Court decisions and how they are perceived in wider society. It is no where near as sympathetic. 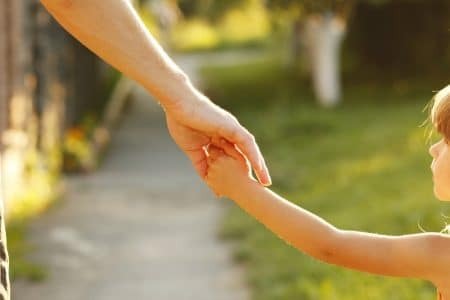 In a study published last week, the University of Warwick concluded that the legal system treats mothers and fathers equally when it comes to children disputes. From what I have read this week, my conclusion is that society as a whole does not. I wonder how much the media’s reporting and use of language has to do with that but that is a whole other blog. As a mum and a family lawyer, I hope that Rebecca Minnock now takes the brave step to come home and engage in the process once again. Not because it’s the right thing to do for her or for her child’s father, but because it is the only right thing to do for Ethan.